The 2017 Canadian Junior and Under-25 Championships was held this year at the Dartmouth Lawn Bowls Club in Dartmouth, Nova Scotia. And once again BC Bowlers were at the top of the Charts. It was an all BC Final as Carah Webster and Pricilla Westlake would face off in the Gold Medal game that came down to a nail bitter, with great shots being made by both. In the end it was Webster who would take home her first Under 25 National title and dethrone the current World Champion 21-19. 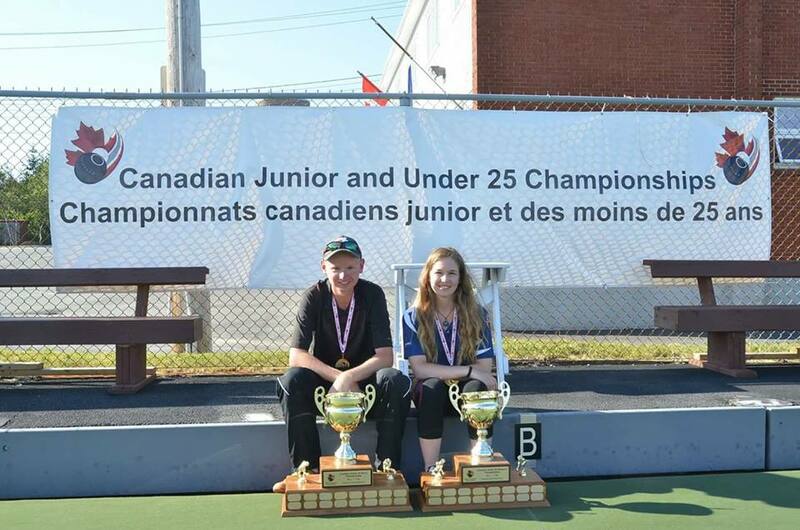 This will add to the trophy case as last year Carah won the Canadian Junior Title as well. Congratulations from all the Bowls BC bowlers to Carah and Pricilla on a huge accomplishment taking home both Gold and Silver Medals, you have both done us proud. Carah will now move on to represent Canada at the 2018 World Youth Championship at the Broadbeach Bowls Club in Gold Coast, Queensland, Australia in February 2018.